Corpus Christi Garage Door Repair services Rockport, TX and the surrounding communities for all their garage door repair and installation needs for both residential and commercial customers. After years in the industry, we understand that both garage door repair and installation can be a complicated process. Since a garage door isn’t something that homeowners buy very often, you likely aren’t completely familiar with the process. In order to avoid chaos and confusion, our team is here to help walk you through all the necessary steps on how to buy a garage door for your home or business. The very first step you’ll want to take is to set a budget. How much do you feel comfortable spending? Keep in mind that a new garage door isn’t an expense, it’s an investment. The average ROI on a new garage door at resale is about 85 percent. So setting your budget too low and resorting to using low quality products or having a non-professional install it to save money right now may end up costing you in the long run. At the same time, you want to set a budget that’s reasonable and comfortable for you. Next, you’ll move on to the fun part: choosing your style. There are various styles of garage doors available. The goal is to pick a style that goes well with the overall look of your home’s exterior. Some of the more popular styles of garage door are: carriage house, traditional, and contemporary. Carriage house garages have historic charm in addition to overhead operation and customizable designs. When it comes to traditional, you’ll have many options for color an insulation, and you can add decorative windows. Contemporary, on the other hand, is sleek and modern in design, and provides serval options for frame color and glass. You’ll also need to select your materials. Many homeowners aren’t aware of the different options available for garage door material. You’re not limited to just one option. Some choices you have for your garage door material are natural wood, steel, composite/faux wood, and aluminum and glass. After styling, you’ll need to consider insulation. Most garages aren’t heated. However, your garage door can affect the energy efficiency of your home. An insulated garage door will help seal up your garage and protect it against the weather. 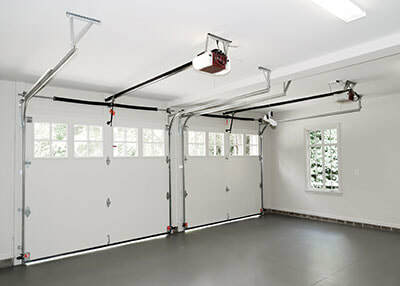 If your garage is attached to your home, it’s recommended that you buy an insulated door. If there’s a room above the garage it’ll help keep the noise down as well as lower your utility bills. Finally, when it comes to installation, installing a garage door may seem like a simple task, but often times DIY jobs quickly turn into nightmares. Most of the times, it’s best to hire one of our professional garage door installers. That way you’re guaranteed that everything is setup properly and you’re able to save yourself the headache of having to do it yourself. 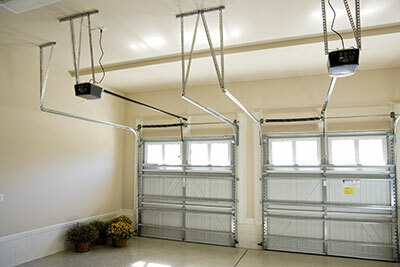 If you have any additional questions about garage door services in Rockport, TX.